The town of Midland, Michigan, not only has its very own Santa House but also its very own Santa in the form of Mr. Tom Valent. Each year he spends his time bringing magic and gladness to children of all ages. 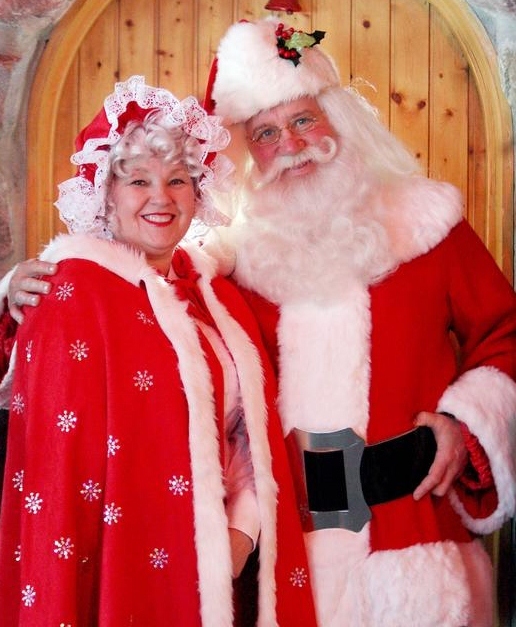 Joining him in promoting the true Spirit of Christmas is his Mrs. Claus, Holly. As a Santa of the highest integrity and ability, Valent’s efforts in the red suit have shared him with many news networks along with countless publications. Valent is also a renowned educator of Santas through the legendary Charles W. Howard Santa School. After the tenure of Nate Doan as Dean of the School, Valent took the reins in 1987. From the Santa House in Midland, Michigan, to many different nations of the world, Valent conducts the Santa Claus School. He gave the values and lessons that have become the backbone of the School to students from countries including Germany, Ireland, England, America, Norway, Canada, Australia, and many others nations.